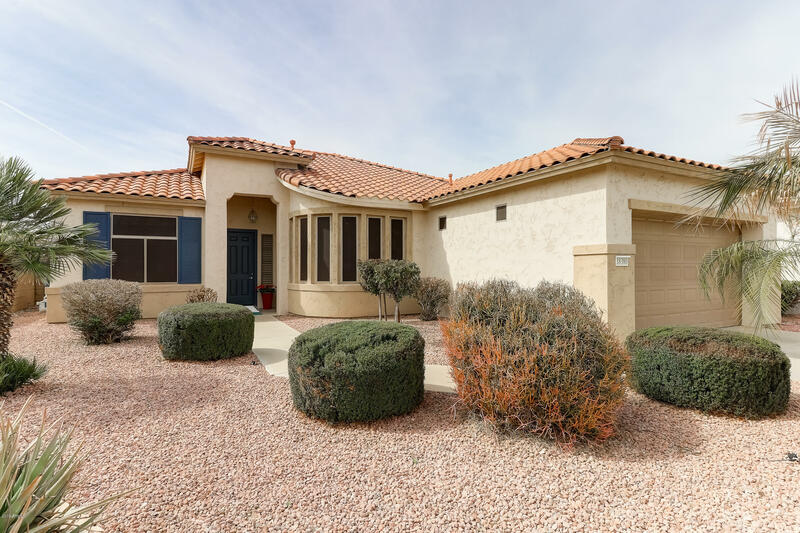 All ARIZONA TRADITIONS NORTH homes currently listed for sale in Surprise as of 04/23/2019 are shown below. You can change the search criteria at any time by pressing the 'Change Search' button below. "WOW! you won't believe the changes made to this model. As you walk into the home you will notice the brand new French Doors added to the Den for a private office or even an additional bedroom. This home has 18 inch tile in all the right places. The wall between the kitchen and living room has been enclosed to hold that large flat screen TV and separate the living room from the dining area. A kitchen for even the pickiest cooks. Granite Counter tops, Maple Cabinets and a new Custom Backsplash. Lo"
"Lovely 2 bed 2 bath with a spacious den as well! Beautiful curb appeal! 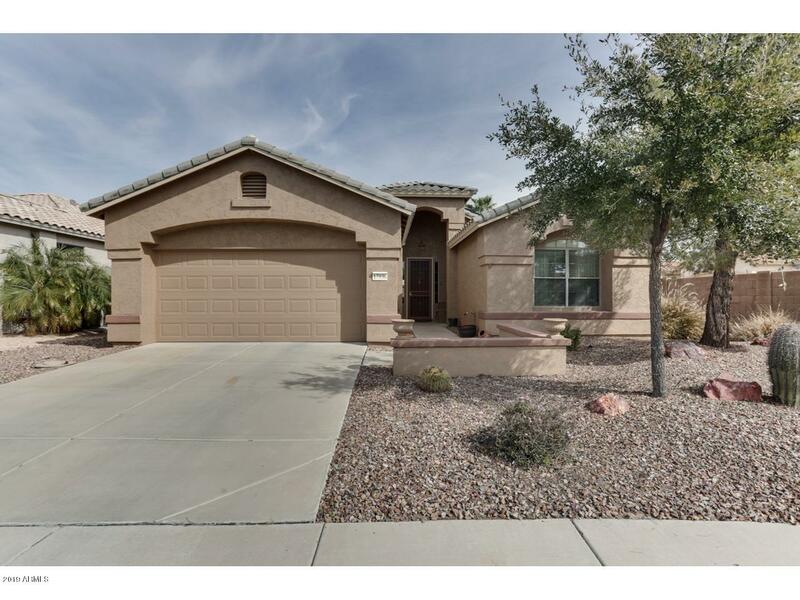 This well kept home in a guard-gated community is immaculate and move in ready! 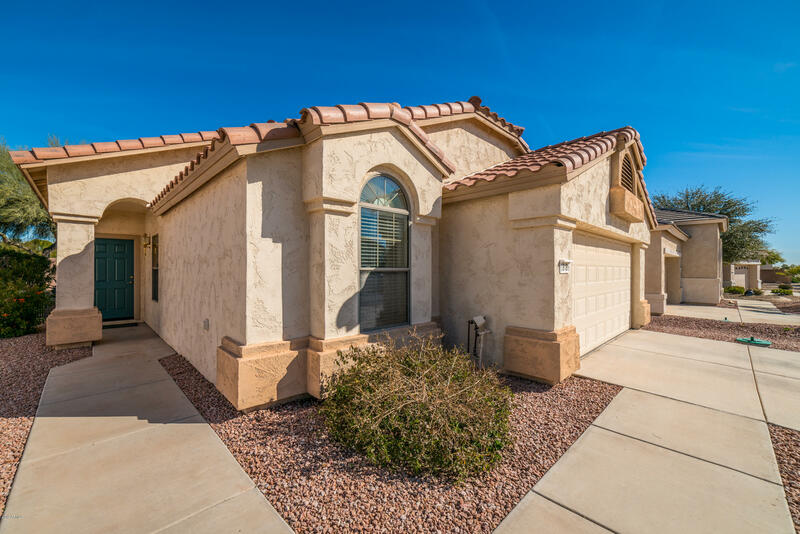 Open Floorplan, Upgrades include large tile floors on the diagonal, kitchen island and a breakfast bar, extended patio slider for that indoor/outdoor Phoenix lifestyle! Beautiful backyard oasis, large palm trees, built in BBQ, covered patio and sunscreens. Newer water heater (1 year old), irrigation drip system is 2 years old, 2 air conditioners "
"Sparking Swimming Pool! This popular model ''The Papago.'' gives you that ''WOW'' factor upon entry with it's large picture frame windows that enhance that Desert Oasis view of the mountains, pebble-tec pool and waterfall, plus built-in barbecue! The great room features new in 2017 Life Proof brand wood-look vinyl floors built-in entertainment wall wired for surround sound and cozy gas fireplace. Chef's delight kitchen has all Stainless Steel appliances, gas stove, walk-in pantry w/frosted door"
"NEW PRICE! 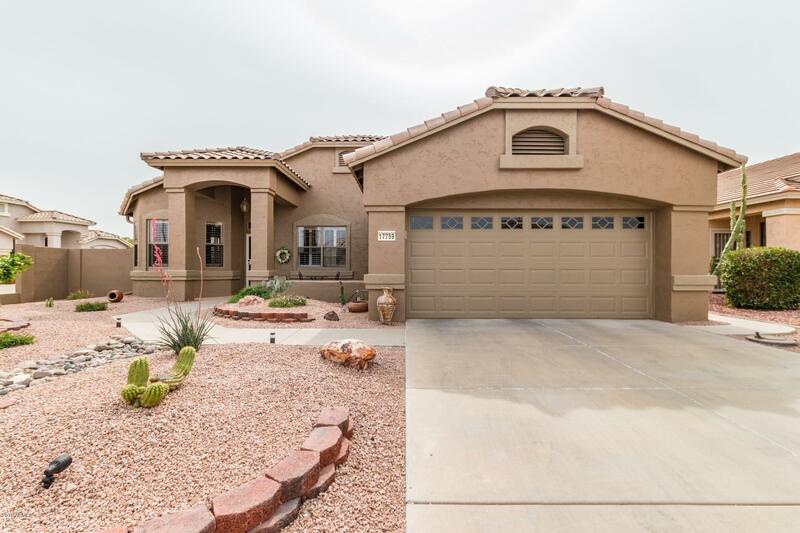 This lovely 1690sf Jokake HAS A 4FT EXT'D GARAGE is located on a N/S lot in the guard-gated 55+ resort Arizona Traditions. You will be enchanted as you arrive! The home has great curb appeal & recently painted in new HOA colors. Enter onto lg neutral tile to open great rm w/roomy living & formal dining. Pretty kitchen offers granite tile ctrs, lovely tall birch cabinets, breakfast rm w/bay. 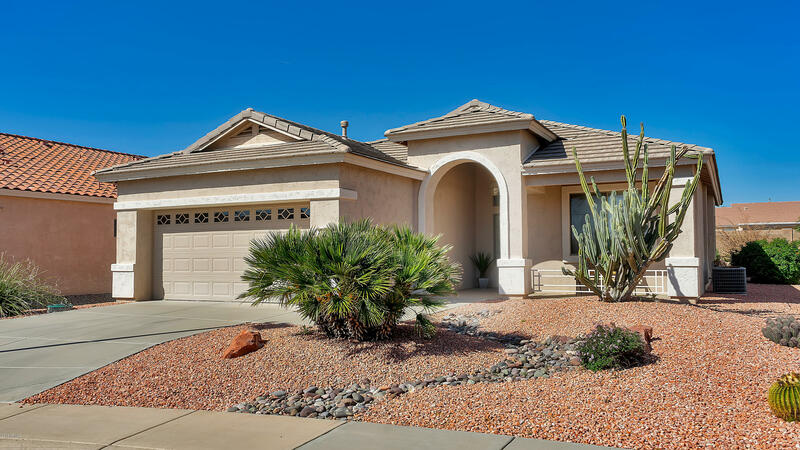 Split private master has soft designer paint, 42'' cabs in bath, glass step-in shower, priv "
"An immaculate gem located in the 55+ resort-style, golf course and gated community of Arizona Traditions. The much sought after Tapatio model presents a flowing and open floorplan, a large, lovely kitchen with loads of cabinets and counter top space, kitchen island, built-in microwave, breakfast bar, kitchen dining area and a sizable pantry. Gorgeous flooring and natural light spread warmth throughout this special home. The spacious master suite offers a large walk in closet and views of a tranq"
"MOVE IN READY AND SO GENTLY LIVED IN YOU'LL THINK ITS BRAND NEW! WONDERFUL GREAT ROOM FLOOR PLAN WITH LARGE KITCHEN, HIGH CEILINGS, AND SPLIT MASTER. DEN COULD EASILY BE 3RD BEDROOM. 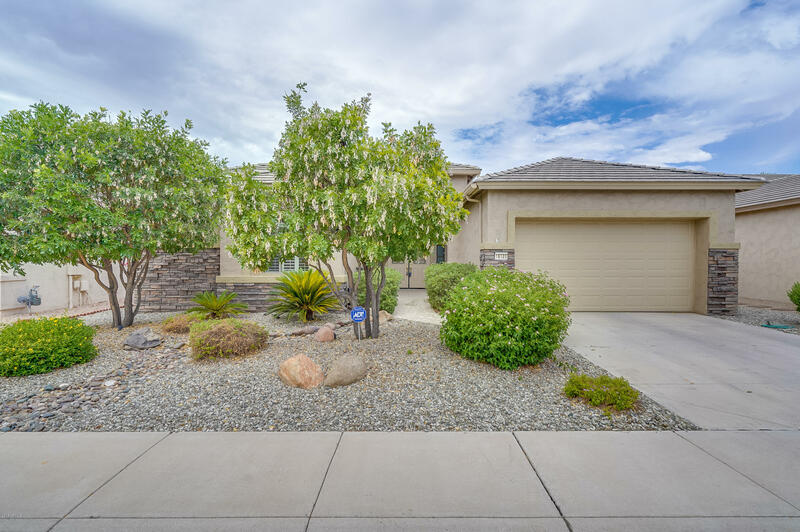 LOCATED IN BEAUTIFUL AZ TRADITIONS ON A PREMIUM LOT - WALKING DISTANCE TO THE PICKLE BALL REC CENTER. AMAZING PRIVATE COMMUNITY WITH SO MANY AMENITIES TO ENJOY AND SO AFFORDABLE. MAKE THIS YOUR WINTER RETREAT OR YEAR ROUND HOME!" "Perfect get-away from those cold winters! 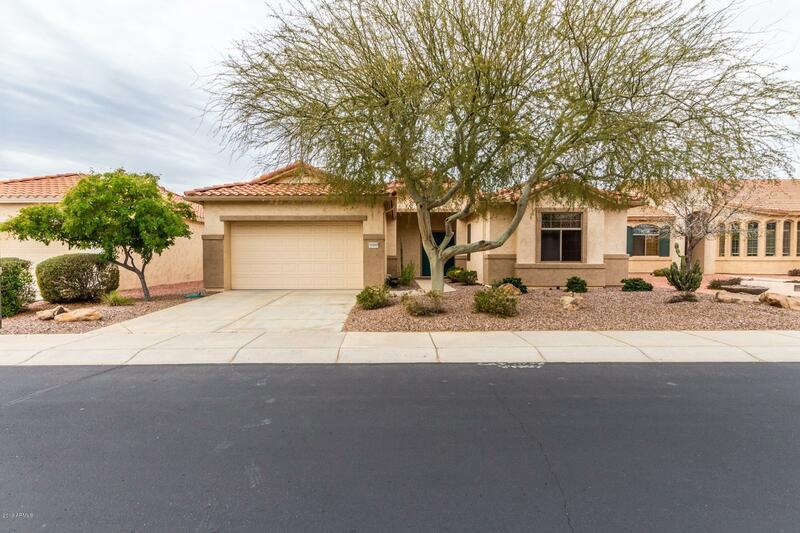 This Arizona Traditions Furnished turn-key home is for those 55+. The open floor plan has a great room and eat-in kitchen. The den be used as an office or guest bedroom. The master bedroom includes a walk-in closet , private toilet room and double sinks double sinks. The 2-car garage is equipped with its own sink. Enjoy the community amenities including Golf, community center, swimming pools, spas, pickle ball, tennis courts, and more.... 1 Year Home W"